That’s right, even on Windows 10 you can still run good old MSCONFIG – the Windows Configuration utility. It’s been built in to every Windows edition going way back to Windows 95. 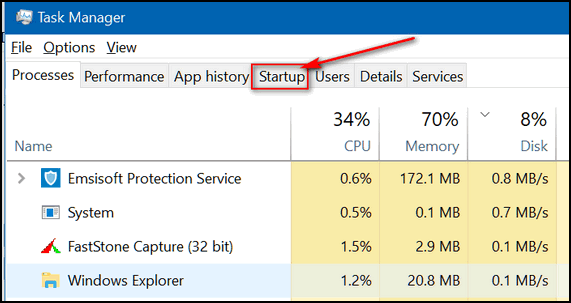 In Windows 7 you can use Windows Configuration utility to manage your startup programs (in Windows 8 and Windows 10 this has been moved to Task Manager). In Windows 10, Windows 8.1 and Windows 7, you can use Windows Configuration utility for changing boot options, such as booting into Safe Mode. You can change the default operating system (if you’re running a dual-boot or multi-boot setup and more. You should only use these settings if you’re sure of what you’re doing. You can also use the Advanced options for RAM and processor settings, but don’t mess around with these if you are not sure of what you’re doing. 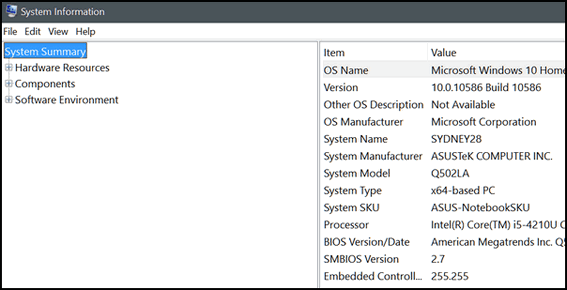 There’s also a list of Windows tools in the Configuration utility, just click on the tools tab and you’ll see these tools and more. It’s only place in Windows where you’ll find all these tools listed together. Here’s a handy utility that will tell you everything you’ve ever wanted to know about your computer and probably a whole lot more. While people download tools that do essentially the same thing as System Information utility, you know better and you use what’s already at your fingertips. The System Information utility will show you all the information you will ever need to know about the hardware and software on your PC. You can either access the System Information utility by pressing and holding down the Windows Key then tapping the R key. 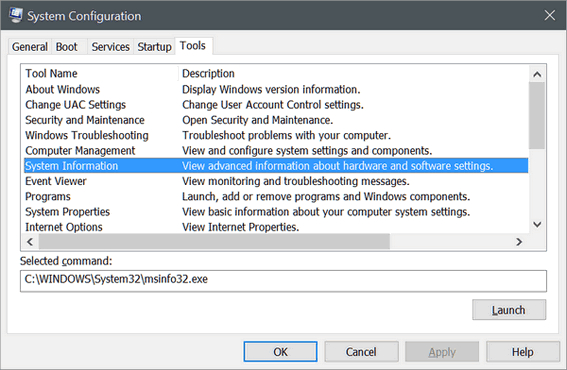 Type MSINFO32 in the run box and press enter to start the System Information utility. 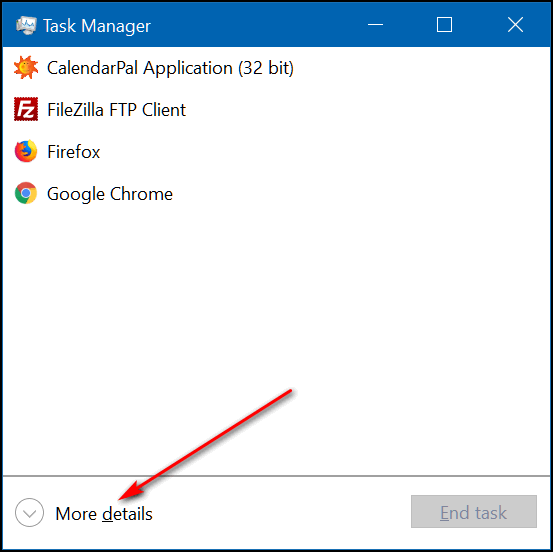 In your using Windows 10 just type MSINFO32 in the taskbar search and press Enter. The system summary will list all the important information about your computer, including processor,, Physical RAM, Virtual RAM, display type, problem devices, hardware, operating system version and type and much more. But you’ve only scratched the surface – you can dig even deeper into the inner sanctum of your PC using the System Information utility. Above: Widows System Information utility. You don’t need no stinkin’ 3rd-party utility to check your PC’s RAM, we tells ya! Windows has a built-in diagnostic tool that will scan your PC for any memory issues … and even let you know if your RAM is in good shape. To run Windows Memory Diagnostic, hold down the Windows Key then tap the R key. Type mdsched.exe in the run box and press enter to start the Windows Memory Diagnostic utility. Whoa! Hold on there pardner — The Memory Diagnostic scan will cause your PC to restart, and you won’t be able to stop it. So, before you run it , make sure you’ve saved anything you’re working on or you’ll lose it. The scan will take between 5 and 10 minutes, and after your computer reboots, you’ll see a diagnostic report giving you the results of the Memory Diagnostic scan. Now you know about three useful utilities built right in to to your Windows PC. Whoa, you made me make a trip down memory lane……..
how many times I’ve used these 3 utilities.. The shortcut icons were standard on my desktop.. I don’t have anything in my Windows 10 task manager that looks like the box you show above called System Configuration. It’s not listed in Task Manager. You have to type MSCONFIG in a run box (Windows Key + R) or type MSCONFIG in the taskbar search on Windows 10 and press Enter. If you don’t see those tabs at the top it is because you don’t have Task Manager set to show details. It’s easy to change that. Jut click on “More details” at the bottom (see screen shot below).